I Am His, and He is Mine ~ Hymn | The Happy Wonderer ~ ellen b. Words: George W. Robinson, 1876. 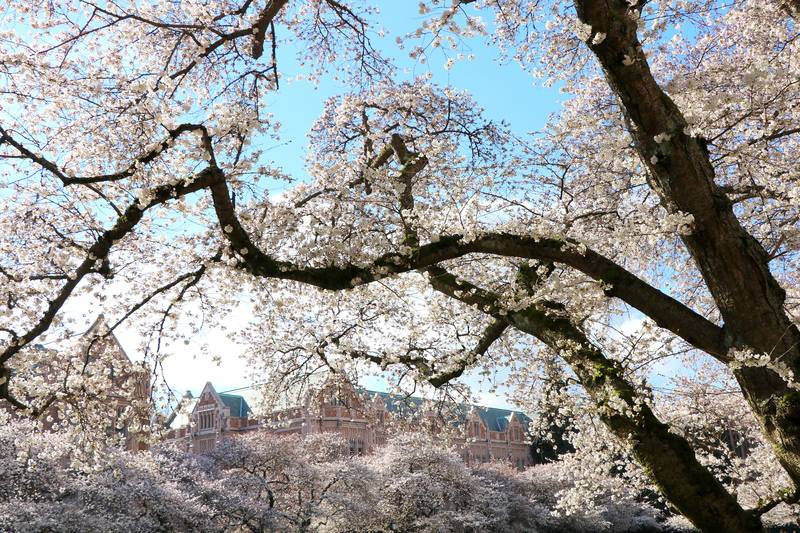 Posted on March 25, 2018 by Ellen •	This entry was posted in Hymns and tagged Loved With Everlasting Love (I am His and He is Mine), University of Washington Cherry Blossoms. Bookmark the permalink. …I hope that you have a wonderful Sunday! This was the theme song on Elizabeth Elliot’s radio program, years ago. Wonderful hymn. Thanks for sharing it. The words touch my heart. Definitely a favorite hymn. Thanks for posting these lyrics.